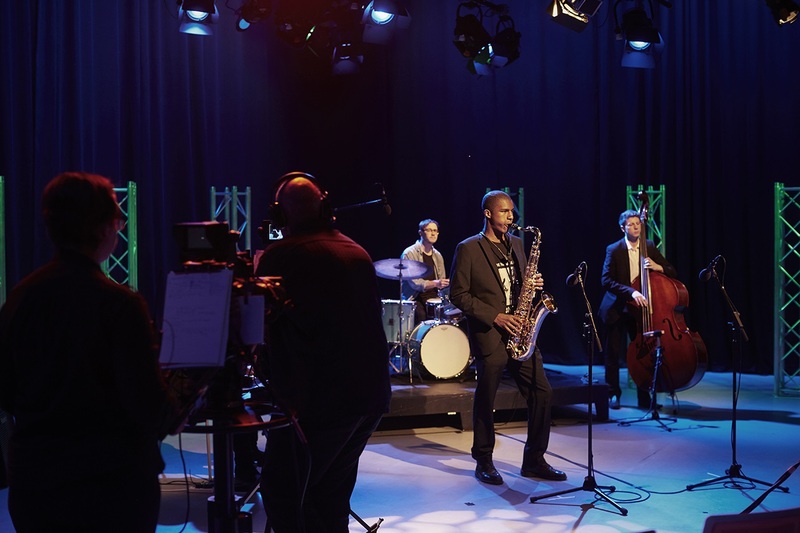 In a loving homage to the legendary BBC jazz concert show, ‘Jazz 625’ – so titled because the newly launched BBC Two was broadcasting on 625-UHF lines (the HD of the time) – the Birmingham City University production has been named ‘Jazz 1080’, reflecting the technological leap in broadcasting since the 1960s. In order to realise this modern incarnation, the researchers and crew worked from original documentation sourced from the BBC Written Archive in Caversham. Presented by Birmingham rapper Juice Aleem, the 50-minute programme featured performances by rising stars from the West Midlands jazz scene. Xhosa Cole (tenor saxophone), Lee Griffiths (alto saxophone), James Owston (double bass), Euan Palmer (drums) and Eyituoyo Awala (piano) – known as The Xhosa Cole Quintet – treated the studio audience to classic works by renowned artists such as Dexter Gordon, Freddie Hubbard and Dizzy Gillespie. The ambitious project came to fruition as a result of Dr Nicolas Pillai, based in the institution’s Birmingham School of Media, who secured a prestigious Early Career Research Leadership Fellowship from the Arts and Humanities Research Council (AHRC). “Producing ‘Jazz 1080’ has changed the way I think about television. As an academic, it’s tempting to stick with what you know – documents in the archive – but this project is teaching me that you can only really understand the creative decisions of the past through reliving them. Production meetings with our ex-BBC crew have convinced me that what ends up on screen depends upon the dynamic of those working behind the camera. As well as giving Dr Pillai insight into the production processes of television, the project has offered Birmingham City University students the opportunity to work alongside experienced professionals who instruct at the BBC Wood Norton training academy. 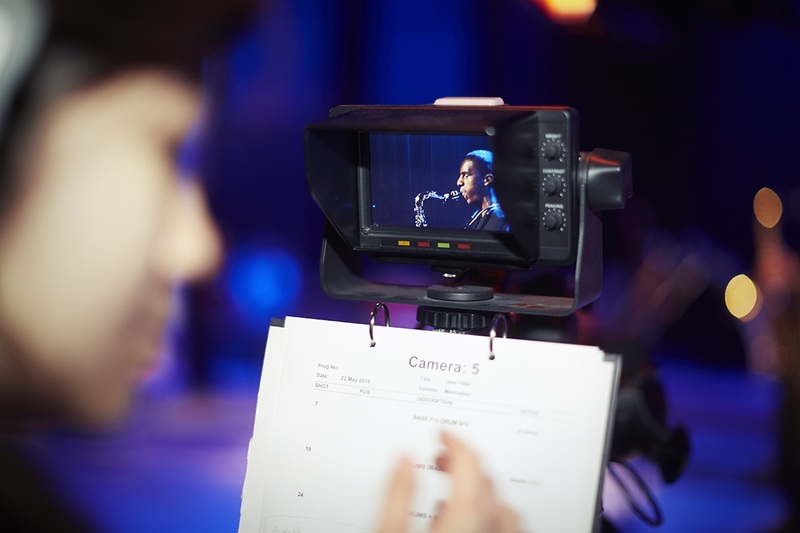 Across two days, undergraduates from Birmingham School of Media were taught the disciplines of working on a multi-camera set and the intricacies of sound recording, studio lighting and camera operation. 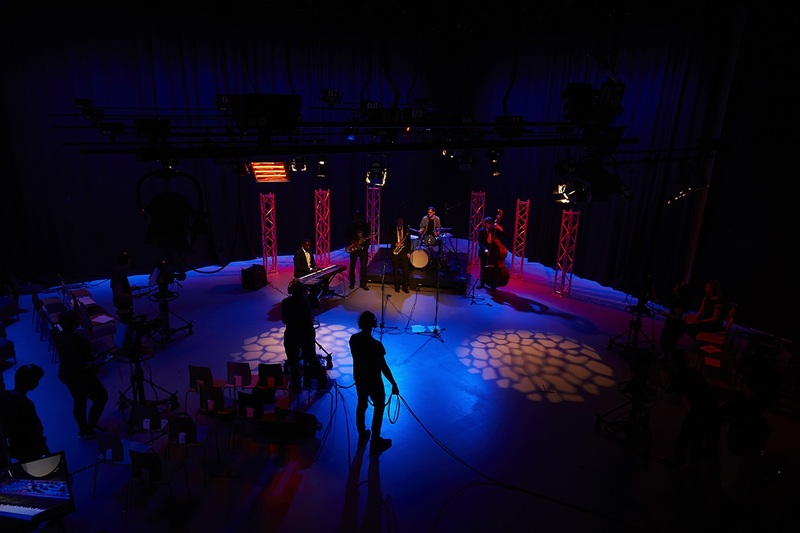 ‘Jazz 1080’ is one output of the larger AHRC-funded research project – ‘Jazz on BBC-TV 1960-1969’ – and is being facilitated by the Jazz Research cluster at Birmingham City University, which is led by Professors Nicholas Gebhardt and Tony Whyton, as well as Dr Nicolas Pillai. Furthermore, the University’s new £57 million Royal Birmingham Conservatoire is home to Eastside Jazz Club, the first permanent jazz space in any UK conservatoire. In 2017, the Conservatoire launched its big band Ellington Orchestra, who are a regular fixture in the club.